That’s how many feeds are to be read in my Bloglines. A wee bit behind on my reading. And I keep adding more blogs! 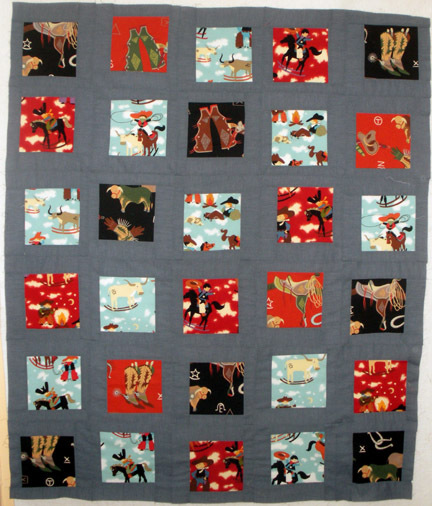 Even with 170 coming from “365 Days of Free Motion Quilting” it’s pretty out of control. I’ve hit a wall on the sewing so I may just have a chance to catch up. 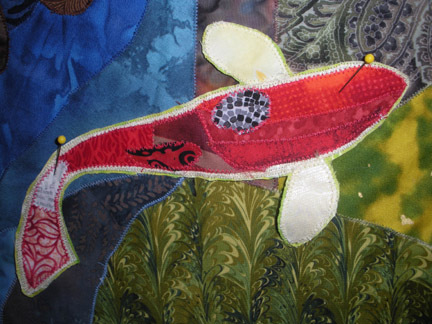 My art quilt with the koi is fraught with artists’ block and is going nowhere. I started quilting my nephew’s quilt but I’m not happy with Lily’s tension. I just can’t get it right. She may have to go into the shop. Not a bad idea since the woman I bought her from has no idea when she was last serviced. Sigh. One good note, I made the best black bean soup from this recipe. I skipped the chili powder since I wanted a non-chili bean soup. Delicious. Try it. We’ve had another round of illness here, a particularly nasty stomach bug. After a few days of recovery and no trips to the grocery store, I improvised dinner for the kids with a chicken breast and some french fries from the freezer. The big boy comes into the kitchen while I’m cooking and says, “I thought we didn’t have any chicken nuggets.” I said that I didn’t have them but I made them from scratch. “I’ll eat them even if they’re from scratch because I like chicken nuggets,” he says to me. I shout, “From scratch is better!” as he runs from the kitchen. Oh no, I thought. Not again. “Not feeling good?” I ask. After a short vocabulary lesson, the bucket was retired, in case anyone was wondering if I poisoned my child. Goodies to eat…. homemade pickles and hummus with feta and kalamata olives (yum!!!). This recipe was my starting point for the hummus but of course I’ve changed it. More garlic and lemon, some cumin and cayenne, plus, of course, the feta and olives. It’s ridiculously easy and so good that I never need to buy hummus again. Now if I could just keep the pita chips stocked. Boys outside playing with campfires and running wild in the grass…. We’re trying desparately to keep on top of the zucchini, cucumber, beans and peaches that are coming in fast. It hasn’t been a great year for tomatoes but when they come it will be sauce galore. Hope you’re enjoying some summer yourself. It’s been a rainy few days and it looks like a few more on the way. I took these last week so here’s a little ray of sun. The white blossoms are from the pear tree and the pink are from the peach trees.